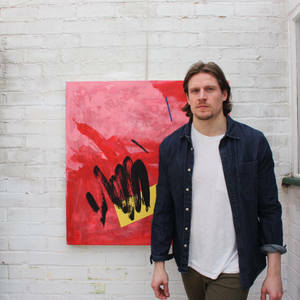 Birmingham based artist Tomas Rowell has continually explored the complexity of art through academic progression. 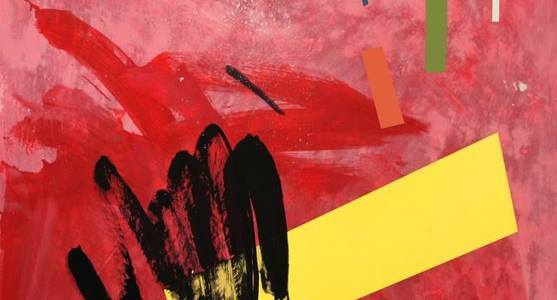 Since graduating from Leeds College of Art in 2014, there has persistently been an exploration into paintings ability to remove any imitation or possible foreign associations. Rowell has persistently experimented with painting; understanding it's ability to confront the physical qualities of art over an external embodiment. The physical depth of the artwork overpowers the traditional views of painting, granting a sculptural approach to minimalist art. There is a structure applied through the use of dramatic colour and geometric shapes that implements a sense of harmony through simplicity. When observed closely, the work unnerves the viewer by denying balance. The reflective nature of metal paint confuses the viewpoint, leaving a sense of instability. Illusion is key. 2014 Graduated, Leeds College of Art, Leeds. Pump and Grind, Thwaites Watermill, Leeds. May 2012. Happy Birthday Mondrian, MEXICO, Leeds. March 2013. Ones to Watch, Sunny Bank Mills, Farsley. March 2014. Tacit Knowledge, College of Visual and Performing Arts at Syracuse University, New York, November 2014. HOT DESK, Kensington, London, June 2016. Royal Arts Prize 2017, La Galleria Pall Mall, London, May 2017. Small World, PS Mirabel, Manchester, July 2017. Automated Curation, The Community, Paris, July 2017. Original 200, Cupola Gallery, Sheffield, September 2017. The Other Art Fair, The Arnolfini, Bristol, September 2017. Winter Open, Artizan Gallery, Devon, November 2017. Pebeo Mixed Media Exhibition 2018, The Menier Gallery, London, June 2018. Leeds, September - October 2018. Affordable Art Fair, Gateshead, The Thought Foundation, Gateshead, November - December 2018.